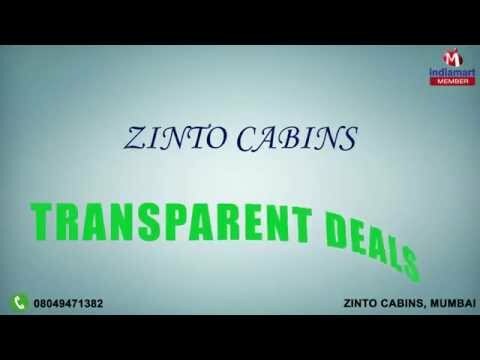 Welcome to Zinto Cabins, established in the year 2010, we are Manufacturer and Supplier of Interior Portable Cabins, Exterior Portable Cabins, Portable Office Cabins, Portable Site Office, Prefab Labour Camp, Portable Toilets, Portable Store Room etc. These products are superior in working and provided to the patrons in several sizes and shapes. Moreover to this, we ensure safe delivery of all these portable products in very quick timing to meet utmost satisfaction of the clients.These products are superior in working and finely prepared with the use of sharp cutting tools and quality checked input. By offering best quality portable units, we have attained many clients across the country. Some of our precious clients are Essar, Technip, Amrapali, Simplex, Gammon, ILFS, AFCONS, RNA Corporation, Pipavav Shipyard Limited, Amreli, Lanco Infratech Limited.